American River College men’s basketball team defeated Sacramento City College 61-47 thanks to a 13 point lead built by ARC in the second half. The teams kept pace with each other throughout most of the first half, with ARC taking advantage of several miscommunications from Sac City that resulted in multiple turnovers. Despite the frequent miscommunications, ARC was unable to pull away, but lead 30-23 at the end of the first period. Just before the end of the first half, Sac City guard Michael Wiggins was injured, but was able to run off the court shortly after. During the first half, ARC center Eugene Crockett was pulled from the game after getting into foul trouble. However, Crockett said his being pulled was part of a bigger plan. “I picked up two quick fouls, so I got into foul trouble, so they went ahead just to reserve me just in case in the second half, it wasn’t looking too good. It was pretty much just reserving me for a bigger time in the game,” said Crockett. The second half began well for ARC as their defense gave up only 10 points through about the first 10 minutes of the half. ARC was able to build a 40-26 lead, with Sac City being unable to score on several possessions. The two teams combined for 16 fouls in the first period, and 33 for the game overall. Sac City was unable to take advantage of these opportunities, and ARC held the lead by a double-digit margin for the rest of the game. The win moves ARC’s overall record to 14-6, with a 6-3 record in the Big Eight Conference. ARC head coach Mark Giorgi says that the reason for the victory was because his players simply had more effort. “I just think we played hard. We competed … tonight, like I’m proud of my guys tonight, and I haven’t said that the four or five times I’ve been interviewed because we haven’t played hard the entire game,” said Giorgi. Giorgi added that another reason for ARC’s performance was that he was more direct to his players. “They let me get on (them) and challenge (them), and they just played hard. They should be proud as a team. And that’s the difference. I don’t think we shot it better than (Sac City), or did anything that great, but we just played hard,” said Giorgi. 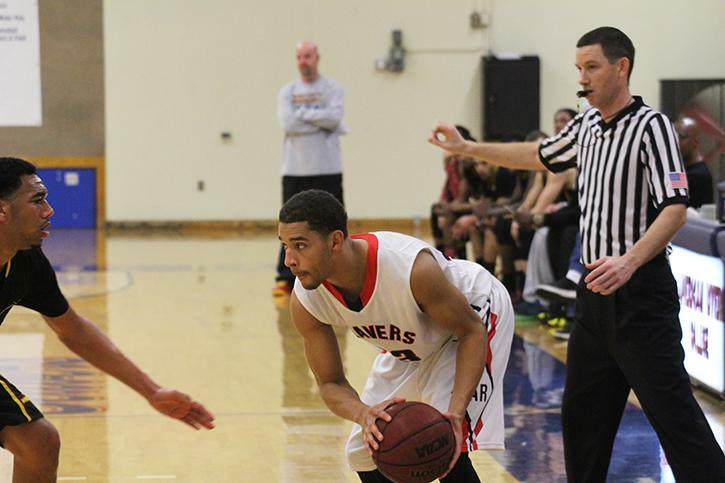 Be the first to comment on "ARC men’s team tops Los Rios rival Sac City 61-47"